Eating out is expensive. Yes, happy hours give relief to sky-high food prices with half-priced apps, buck-a-shuck oyster specials, and child-sized portions, but we’re interested in round-the-clock cheap eats that don't involve a drive-thru. A warm samosa, a hearty taco, or an overfilled slider fits the bill (especially when it costs less than a grande Frappuccino). If it's a quick snack or a filling meal, we've hedged your best bets. Even if your wallet’s thin, it doesn’t mean you have to starve. Point Breeze has a real gem in this handsome bar on the corner of 18th and Federal. ASB is known for their constantly-changing draught lines and their riffs on comfort classics. Their food is bold, dead simple, and delicious. Take their $2 sardine slider. With a small sardine filet on top of shredded lettuce, an egg, and a ring of onion between two thick slices of baguette, this humble sandwich lets you know you’re somewhere unpretentious. It also pairs nicely with a $3 pint of Kensinger, if you can spare a fiver. This cash-only Fishtown Taqueria knocks out a range of street-style tacos for anywhere between $1.85 to $3 each. 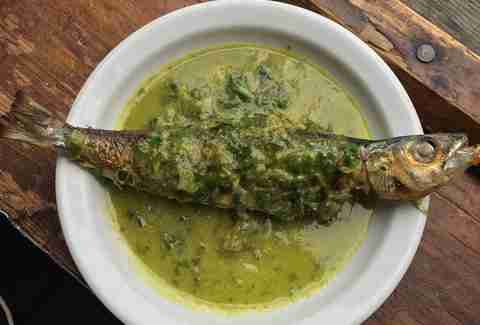 Fillings run the gamut from soy chorizo to carne asada to batter-fried fish. As a bonus, if you’re lucky enough to visit on one of their $1 taco days, you’re in for triple the treat. 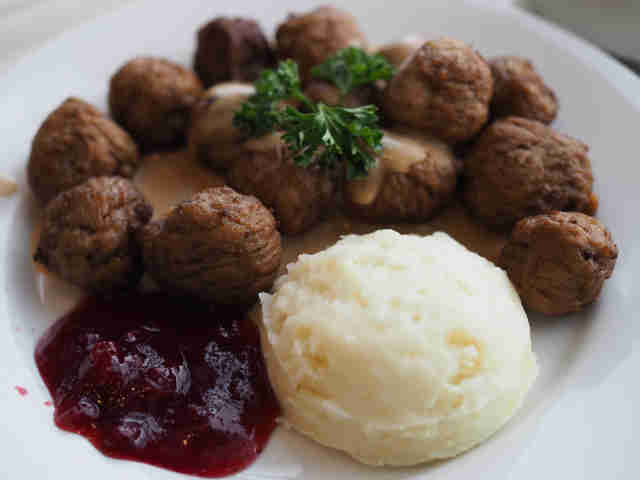 You may not think the Swedish furniture store would be a good place to score some serious food deals, but you’d be wrong. Wander into the first floor cafe and behold: 75-cent hot dogs, $1 cinnamon rolls, $1 frozen yogurt cones, and $1.75 slices of cheese pizza. They also have dirt cheap combo deals, like two hot dogs and a soda for $2. If you’re in the mood for something that requires silverware, hop upstairs to their sit-down restaurant. They serve $1 egg, turkey sausage, and potatoes for breakfast, $2 pasta lunches, and $3 quinoa sweet potato chili with black bean dinners. 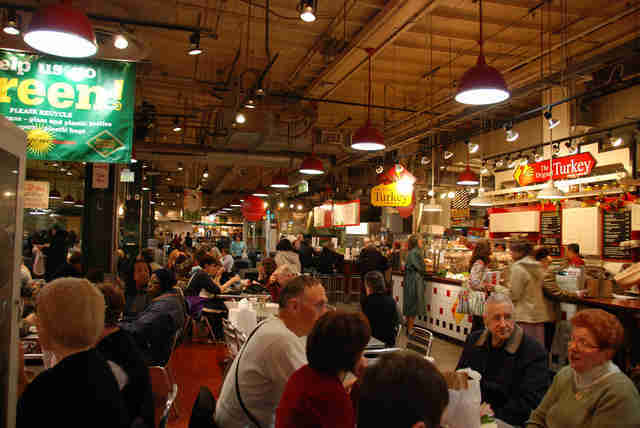 Reading Terminal is a treasure trove of affordable eats from cuisines that span the globe. Two dollars and 50 cents at the Little Thai Market will get you one Thai-style BBQ chicken skewer or two chicken spring rolls. Kamal's, a Middle Eastern joint, sells both meat and za’atar pies for less than $2.50 a pop. Miller’s pretzel stand slings a mean jalapeño cheddar dog for $2.95. If you’re in the mood for something more basic, a buttery regular pretzel from Miller’s is only $2.25. Three bucks will get you one bean and ground beef taco at 12th Street Cantina, and Sang Kee Peking Duck offers a $1.86 bourbon chicken skewer, too. Just wander around the market with five bucks in your hand and you’ll do fine. This boutique patisserie is known for their immaculate pastries, tarts, and cakes. You may not think three bucks would go too far in such an intimidatingly gorgeous cafe. But, ha ha! You’d be wrong! They offer a selection of fancy bars, brownies, and cookies all for under $3. Go on, treat yourself. 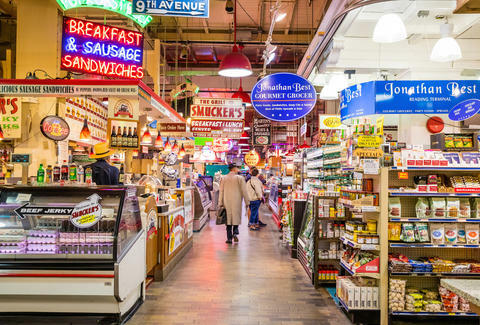 This brunch staple is known for its Jewish and Southern specialties and for less than three bucks, you can get a taste of either cuisine. 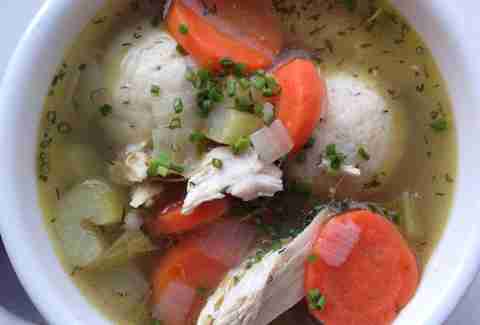 Channel your inner bubbe and indulge in a potato latke for $2.50 and a cup of matzah ball soup for $3. Or, if you just want a little love Southern-style, a buttermilk biscuit is only $2.50. The 75-cent samosas at this Indian and South Asian market in West Philly are a cult favorite. We're sure many college tudents have had these samosas sustain them in leaner times. Load up on a few next time you have a snack attack. 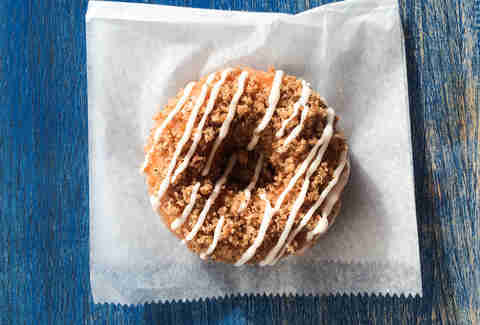 Boasting five locations across Philly, Fed Nuts is a popular chicken and donut regional chain. The fried chicken items are nice for the occasional splurge, but the donuts are a much more affordable luxury. $1.50 gets you a plain donut, $2.00 gets you something fancy. Consult their Instagram before you go to see what’s fresh. Whether you’re looking for a power breakfast or a mid-morning nosh, Knead Bagels has you covered. Grab an everything bagel with plain cream cheese (or peanut butter and jelly if you can't do dairy). It’s only $3, and it’ll hold you down nicely. Anna Goldfarb is an author, writer, and advice columnist who catalogues dating behaviors on her blog, Shmitten Kitten. She enjoys eating like a queen for under three buckaroos. You can follow her: @MsAnnaGoldfarb.